Graham Kennedy NFSA - I.M.T. 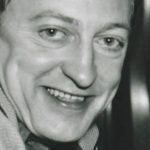 The National Film and Sound Archive includes a wonderful collection of Graham Kennedy images and video. 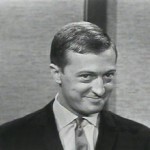 Graham Kennedy was the ‘The King’ of Australian television, with a career that spanned four decades. In the 1970s and 80s he conquered game shows, with the top-rating Blankety Blanks (1977-78), then pursued a range of television character acting roles into the 1980s. 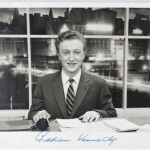 Graham then made his mark on current affairs, guest hosting 11 AM (1984) before a successful return to the Nine Network with Graham Kennedy’s News Show (1988) and Graham Kennedy Coast to Coast (1989). 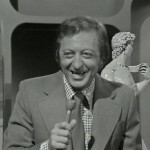 His final regular TV hosting gig was Graham Kennedy’s Funniest Home Video Show (1990). Highlights include a complete Wilsons sketch from a 1968 episode of In Melbourne Tonight, film of a 1961 trip overseas, the only surviving footage of Graham’s 11AM hosting stint in 1984 and advertisements promoting everything from the 1981 census to paper towels and men’s shoes. Bert Newton joins Graham Kennedy on the couch to sell the latest Raoul Merton designer men’s shoes, during a live advertisement on an episode of In Melbourne Tonight, circa 1962. 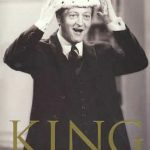 In these clips from Nine’s TV anniversary special, host Bert Newton chats with former Nine Network personality and ‘King of Television’ Graham Kennedy about his start in television in 1957. A complete sketch featuring ‘The Wilsons’, a regular In Melbourne Tonight (IMT) sitcom sketch featuring elderly married couple George (Graham Kennedy) and Joyce Wilson (Rosie Sturgess). Kennedy sings a self-penned ditty ‘500 Times, 5 Nights A Week’ commemorating the 500th edition of In Melbourne Tonight, which aired on GTV9 on 3 April 1959. A news report covering the funeral of Graham Kennedy, a celebration of the performer’s life attended by a who’s who of Australian past and present show business personalities. 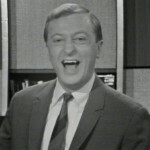 Two Seven News stories book-ending Graham Kennedy’s arrival and departure on the network’s daytime news program 11AM. The Grand Final winner of Graham Kennedy’s Funniest Home Video Show is announced, featuring a woman who removes a full set of false teeth. Graham Kennedy and Bert Newton perform ‘The Executive Producer’ sketch on The Don Lane Show, broadcast on the Nine Network on 27 October 1983. 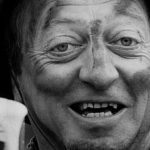 Excerpts from Graham Kennedy’s guest role in an episode of the Australia-USA family period drama series Five Mile Creek, broadcast on HSV 7 Melbourne on 2 August 1984. An excerpt from Graham Kennedy’s guest appearance on Celebrity Tattletales, hosted by former Blankety Blanks regular panel member ‘Ugly’ Dave Gray.